Stunts Canada hasn't added a story. Tony Morelli was one of the founders of the stunt business in Vancouver. He seamlessly transitioned from being a world champion kickboxer and fighter to being a world class stuntman and stunt coordinator, and one of the first members of Stunts Canada. He touched so many people over his 30 year career in the film business. From the 1980's to 2015, Tony brought his knowledge, kindness, patience and expertise to every film set he was on.His last day on set was only 3 days before his unexpected death. Tony Morelli was a fighter, a stuntman, and a champion, but most of all, he was a father and husband. His family meant everything to him. His wife Julie, and kids Anthony, Jewell and Sammi were his reasons for living. We would like to ask people to donate whatever they can to the Tony Morelli Memorial Fund. The proceeds will go to his wife and children to help them with their expenses in the immediate future. His sudden death has left a hole in many people's lives, especially his beloved family. Please help if you can. 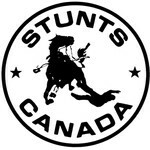 Stunts Canada hasn't posted any updates yet. Stunts Canada is managing the funds for this campaign.